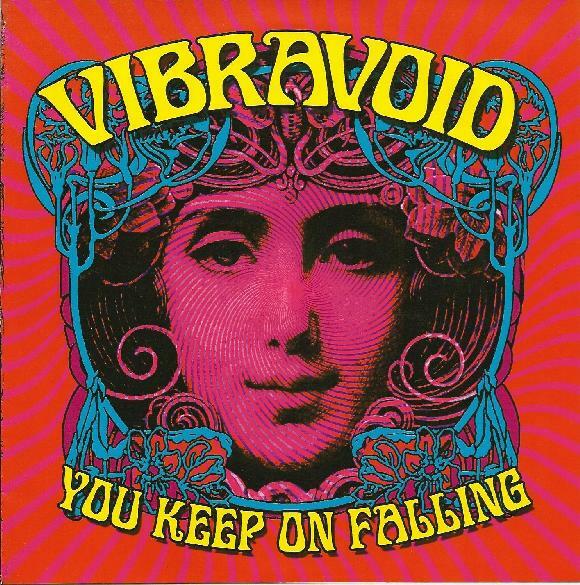 Vibravoid - "You Keep On Falling"
The folks that publish the Greek (English language) psych fanzine Gew-Gaw also run a record label called Nowhere Street Music. Their latest release is a 7" vinyl package by Vibravoid. Side A consists of a new song - You Keep On Falling. This is a pounding spaced out tune with a robotic, highly fuzzed groove that pulsates and throbs in your head. As the song progresses the repetitive groove and distorted guitars pound away relentlessly and the band throw in some cool spaced out effects. Side B consists of two live songs from Vibravoid's 2010 tour of Italy. All Vibravoid fans will know the song Vivid Vision, which in this live version is a monstrous slab of crashing and bashing tripped out heavy psych rock. Christmas On Earth is more of the same, and I can only imagine the audience at this performance were reduced to spent, smoking human husks.